Good afternoon everyone, I hope all has been well this week. 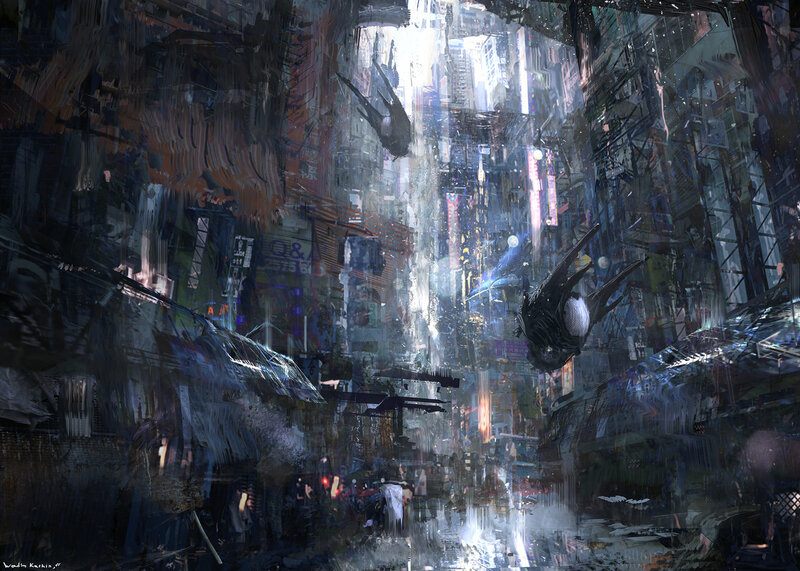 Today I bring you the artist Wadim Kashin, a freelance concept artist from Moscow, Russia. His work really blew me away this week, so I just had to feature his work for everyone to see. 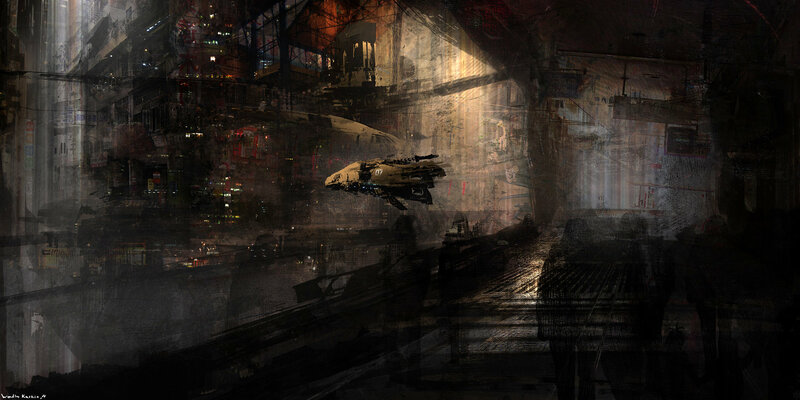 Wadim’s artwork is filled with noisy, strong, and vibrant environments created through use of the photo-bashing technique, and texture brushes. In a video which I shall show below, Wadim shows his viewers his art process as he paints two of his work. As you will see, he uses photos as a base to collect his colors, and works from there. I’m unsure if any of you have noticed, but when I post the images that will soon be below, I tend to create an atmospheric order. Or rather, I try to keep the colors related to the ones around it, or the subject similar. So when you see some of the work in previous articles out of order, that’s mostly why (so instead of IMG 1,2,3, I make it IMG 2,1,3 typically). I’m a little unsure if that makes any sense, but if it does, good. So I hope everyone enjoys the work below! See, like this. This image is second, even though it’s the first of the series. Although I must admit, it’s usually not intentional. 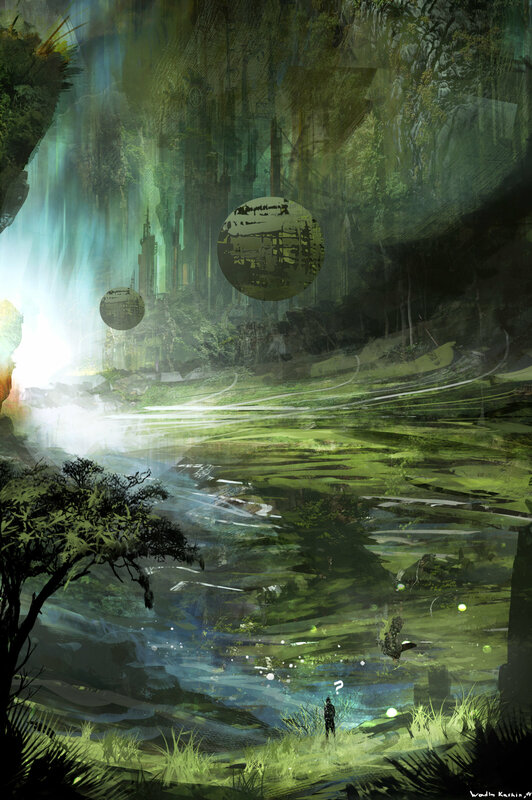 I’ve been aware that the last few spotlights have mostly consisted of environmental concept art. Like always, I must say that it’s not intentional that I do this, though if anybody would like to suggest a genre of concept art you would like me to cover, I can do my best in delivering such article. 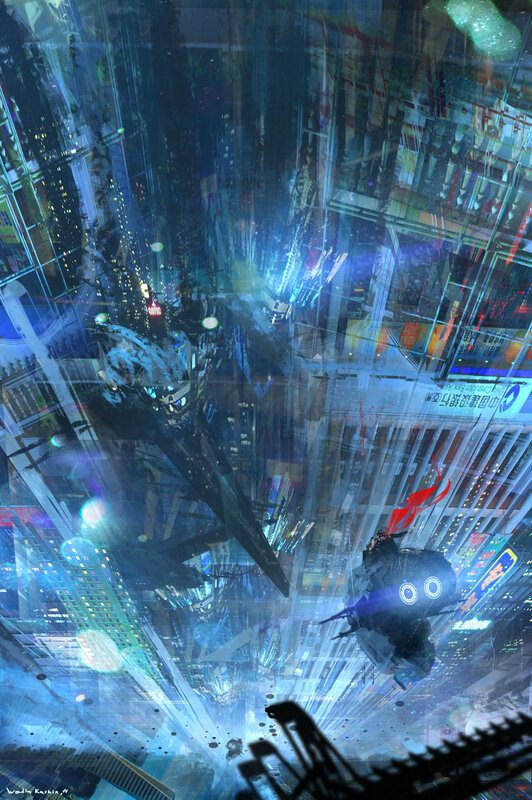 You may find more of Wadim’s work on his Artstation, Drawcrowd, Tumblr, and Deviant Art. Also, I need to mention something to those trying to contact me right now. I’m around, but I’ve gotten very quiet as of recent. I’ll respond to any messages that I haven’t responded to yet, tomorrow. This entry was posted in Artists and tagged art, art station, azure lorica, concept art, deviant art, drawcrowd, environmental concept art, photo-bashing, Septicwd, triskele press, Tumblr, Wadim Kashin. Bookmark the permalink.